Wuzhizhou Island is located off the coast of Hainan Province, China. 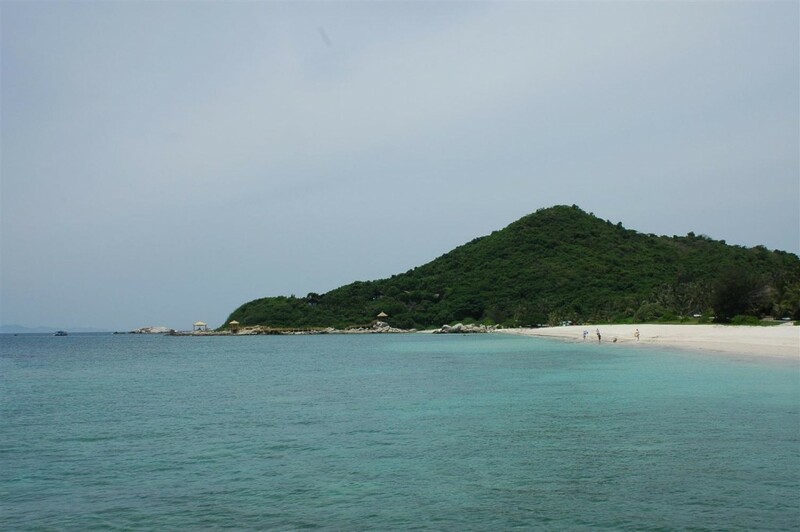 This 1.48 square kilometre island is situated within Haitang Bay, approximately 30 kilometres northeast of Sanya, between Nanwan Monkey Island to the north, and Yalong Bay to the south. The sea below is excellent for surfing, and has an extensive reef. The areas to the north and to the west of the island are relatively flat, with sandy white beaches being the norm. The water along these shores is gin clear, with a visibility down to 27 m (90 ft). It is a real boon to scuba diving. Wuzhizhou Island is the Maldives of China. The beautiful scenery all over the island includes ‘Plants World’ and the colourful ‘Underwater World’. You can dive into the sea and discover the underwater world. But be warned: if you want to dive, you’d better get there early as there is always a long line.